Linda Aline Rooker. Sunrise August 23, 1949 - Sunset March 21, 2019, in Columbus, Ohio. Linda Aline Rooker was born August 23, 1949 in Columbus Ohio to William Sr. and Gladys Starnes. 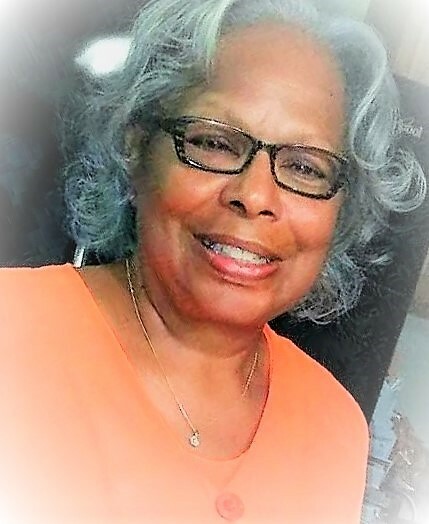 She attended the Columbus Public School System and graduated from East High School, a proud member of the class of 1967. Following graduation, Linda was employed at Western Electric, which later became AT&T and Lucent Technologies, from which she retired after 32 years of service. After her retirement from Lucent, Linda joined the Franklin County Board of Developmental Disabilities as a transportation assistant. She enjoyed her work at FCBDD because she was able to provide comfort and support to children and adults with developmental disabilities. She retired from FCBDD in 2015. Linda gave her life to Christ at an early age and was a faithful member of the Church of Christ of the Apostolic Faith for over 40 years. She was an example of God's love and enjoyed helping people in any way that she could. She loved singing in the church choir, volunteering for the Bread of Life Ministry, and fellowship with the birthday club. Linda truly treasured her family. Her greatest joy came from spending time with her family watching movies, playing games, laughing and traveling. She also enjoyed shopping, especially finding quality clothing items at a good price, which she'd call a steal. Linda is preceded in death by parents, Williams Sr. and Gladys Starnes; siblings, William Starnes Jr., Brenda Starnes, John Starnes, and George Starnes; and son, Hugh Rooker Jr. She leaves to cherish her memory, daughters, Renae Rooker and LaToya Rooker; grandchildren, Jessica Rooker, Unekqua Rooker-Gibbs, Jayla Rooker, and Daniel Thomas III; great -grandson's, Jasiim Montoya, Sean Rooker, and a host of family and friends. Family will receive friends Thursday, March 28, 2019 at 6pm until time of service at 7pm at Church of Christ of the Apostolic Faith, 1200 Brentnell Ave., Cols, OH 43219. Interment Evergreen Burial Park, Friday, March 29, 2019 at 10 am. Arrangements by WHITE’S FUNERAL AND CREMATION SERVICES, 867 S. JAMES ROAD, COLS, OH 43227, BENJAMIN F. “BENNY” WHITE, JR, FUNERAL DIRECTOR, (614)947-1123, whitesfh867.com.